New Zealand’s population growth from migration reached 68,100 in the year (achieving a new record from April 2015 to April 2016), continuing the trend of increased overall migration to the country. 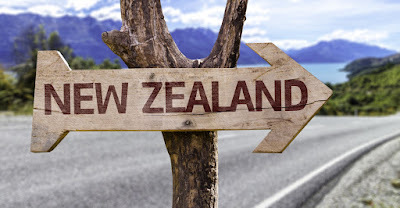 According to Statistics New Zealand, 124,669 people arrived on a permanent or long term basis in the year to April, while 56,559 people left on a long term/permanent basis, leaving a net migration gain of 68,100 for the year. About a quarter of the new arrivals were New Zealand citizens returning to the country, Statistics New Zealand said. The recent trend for arrivals from Australia outnumbering departures across the Tasman sea continued, with a net gain of 5,614 people from Australia in the year to April. The countries with the largest migration flows were India (12,218 people in the year to April), China and Hong Kong (10,353), the Philippines (5,151), the UK (3,891), France (3,112), and South Africa (2,730). The biggest category of new arrivals by visa type in the year to April were those arriving on work visas (38,825), followed by New Zealand and Australian citizens (36,475), student visas (27,645), and residency visas (15,058). 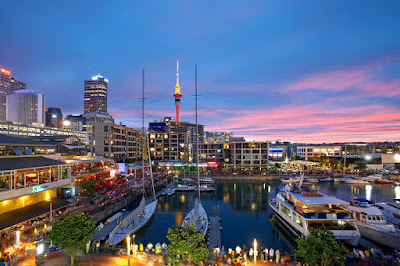 Interestingly, Auckland remains the destination of choice for most migrants, with figures showing population growth in the city increasing by at least 31,582 from migration in the year to March. “There’s no denying that net migration is at very high levels, but whether we see it continuing to rise from these rates, the April data suggests that perhaps we are getting closer to a peak“, he said. The number of tourists to New Zealand also reached a new record for April, accumulating nearly 260,000 visitors. Visitor arrivals were up 8 percent from April 2015, while New Zealanders went on 2.44 million trips overseas in the past year, with more visits to Australia, Fiji, and the United Kingdom being recorded. Westpac chief economist, Dominick Stephens, also stated that annual net migration will likely pass 70,000 by June, taking the population growth rate to a post-1974 high of 2.1%, ranking New Zealand’s population growth rate second for advanced economies, after Luxembourg at 2.4%. The economy expanded at a faster rate than expected in the final quarter of 2015 (at 2.3%), with population growth from record migration ­helping to boost spending and private-sector profits. As the Australian economy slowed in line with a weaker mining sector, New Zealanders were less inclined to move across the Tasman. Consequentially, both New Zealanders and Australians made the move back to the land of the long white cloud. However, the increased migration levels will likely require the government to assess whether it is a short-term or long term trend that will potentially require more investment in infrastructure, such as schools, hospitals and housing. “Whenever you are going through 2% population growth, you have challenges in a lot of infra­structure” said Treasury deputy secretary, Brendon Doyle. “Migration brings the Government extra revenue to invest in more infrastructure, but there’s a challenge around timing“. In the short term, it increases pressure in areas such as Auckland, where half of new migrants have settled. The latest data shows Auckland’s average house value rose 17% in the past year, hovering at just under $1 million in spite of regulation aimed at slowing demand and increasing supply. Four years ago, Auckland Council calculated the likely housing shortfall and concluded that it required 46,000 new homes by the end of 2014. However, from 2012 to 2014, only 14,052 dwellings were ­consented. At present, the Treasury does not have a view of the country’s ideal population size, but believes it can accommodate more people while still benefiting living standards and maintaining the natural habitat that attracts many tourists and residents. Government officials have also been observant of economic signals, and point to labour market indicators as a sign that migration hasn’t swamped business demand. Unemployment in New Zealand has fallen to 5.3%, and 175,000 jobs have been created in the past three years, with the average wage rising by 3.1% in the past year (considerably more than the cost of living increase of 0.1%). In addition, according to economic think-tanks, gains from the boom are expected to be felt for years, as connections forged between new migrants and their home countries are strengthened, delivering future ­benefits to trade and international relations.